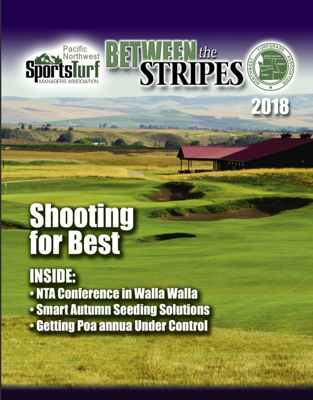 The Pacific Northwest Sports Turf Managers Association is embarking on a new chapter with the announcement Monday by president Tim Werner that Paul Ramsdell has been hired to be the association’s executive director. Ramsdell currently is the executive director of the Northwest Turfgrass Association and will continue in that role as the two associations work together to enhance the knowledge and resources of turfgrass managers in the Northwest. Ramsdell brings a wealth of management experience into the new position. Besides his current NTA role, he’s been the executive director of the Western Washington Golf Course Superintendents Association and the club manager at Kitsap Golf & Country Club. His background in communications includes working for newspapers up and down the West Coast, including the Seattle Times, and being a senior editor for ESPN.com. The next gathering of the PNWSTMA will be in October at the VMAC training facility at Seahawks headquarters. More information and registration material for that event will be available soon. More information will soon be available on the association’s web site, www.pnwstma.org. Ramsdell is available for any questions or comments at mpsparks90@aol.com or 253-219-8360.